variable position handles, camera quick release mounting plate, adjustable tilt head for shooting up or down and specially developed shock tube to eliminate vibration and support the Minigyro and camera package. There are 2-Kenyon K-8 gyros which provide opposing forces to enhance a smooth shot. The Minigyro runs on 24 -28 volt battery. 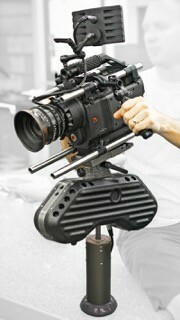 The middle mount is a side mount designed for all but the largest of camera packages. It provides 100 degrees of pan, tilt and roll, making it ideal for air to air, air to ground, scenic aerials or fast action sequences. Straight forward tracking shots can be made by crabbing the helicopter, though wind conditions may not always make this possible. With its counterbalanced free-floating and gyro-stabilised mount arm, the middle mount helps deliver stable and dynamic images. 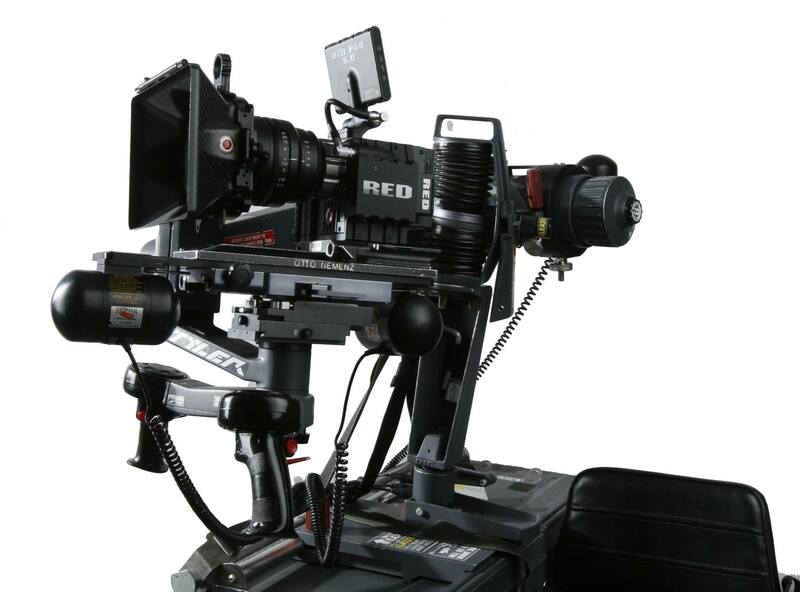 The operator sits within with the mount and has direct ‘hands on’ control, giving a natural ‘organic’ feel to camera moves. 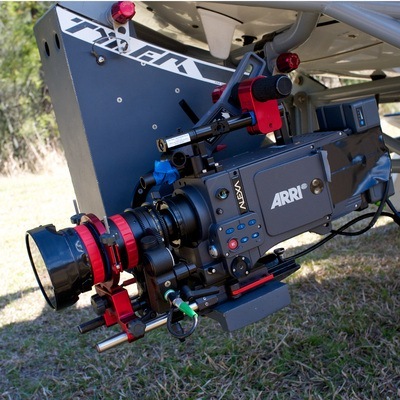 Digitally controlled frame rates from 6-100 fps including 29.97 fps.